March 17th Show : Blog Of The Nation In the first hour of Talk of the Nation, an update on the recovery in Haiti and Chernobyl 25 years after the disaster. In the second hour, Japan's ongoing nuclear crisis and a U.N Security Council vote on a no-fly zone in Libya. As Japan reels from the 9.0 magnitude earthquake and tsunami, Haiti continues on its long path to recovery. On Sunday, Haitian voters will cast their ballots in a presidential runoff, four months after the first round of voting was marred by violence and allegations of widespread corruption. The return of former dictator Jean-Claude "Baby Doc" Duvalier in January, and the planned homecoming of Haiti's exiled former president Jean-Bertrand Aristide have put the country on edge. And, 14 months after the earthquake that flattened much of the capital, many Haitians and aid groups report that the rebuilding process has been frustratingly slow. Jacqueline Charles, Caribbean correspondent for the Miami Herald, provides an update on the status of the earthquake recovery effort and the latest twists in Haiti's political environment. The nuclear crisis in Japan continues to grow, but experts say that the radiation levels remain far below the levels produced by the 1986 Chernobyl power station catastrophe in Ukraine. At least 5% of the radioactive material in the core was released into the atmosphere in that explosion. Earlier this year, the Chernobyl Exclusion Zone — a 60-mile area that's been off-limits for over two decades — was opened to tourists. Outside Magazine writer Henry Shukman visited the area and discovered a quiet wilderness teeming with life. Host Neal Conan talks with Shukman about the state of the exclusion zone — the lush forests, the families who live there, and the radiation that lingers twenty-five years later. 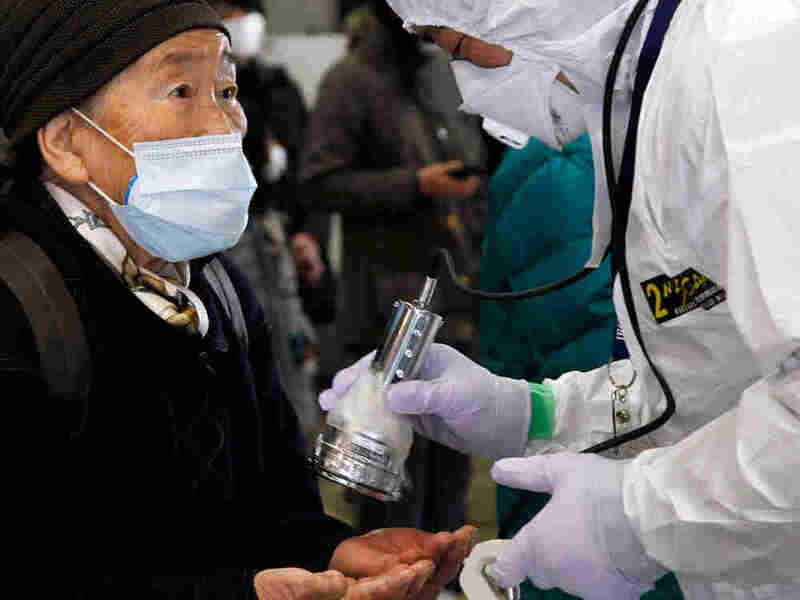 Officials in Japan appear to have made little progress in their fight to prevent a nuclear meltdown at the Fukushima power plant. Helicopters dropped water on one reactor in an attempt to cool the overheating radioactive material. Water cannon trucks tried to refill the storage tanks in another reactor, but couldn't get close enough due to high radiation levels. The United States has not issued an evacuation order but is providing assistance to Americans who want to leave Japan. Host Neal Conan gets an update on the crisis in Japan and talks about the implications of this nuclear crisis with Kathryn Higley, head of the department of nuclear engineering and radiation health physics at Oregon State University. The United Nations Security Council could vote as early as this afternoon on whether to impose a no-fly zone over Libya. The Arab League threw its unanimous support behind limited military intervention, but it's uncertain whether Russia or China will support the decision. Countries that back the no-fly zone, including France and Britain, say they're confident they'll secure the necessary votes. But it may be too late: Pro-government forces in Libya say they will retake the country from rebels within the next 48 hours. Host Neal Conan talks about today's U.N. vote and — should it pass — the process of setting up a no-fly zone.